Five influential American lawmakers have introduced a resolution in the House of Representatives calling on the US Postal Service to issue a postal stamp to commemorate the festival of Diwali. Introduced by Congresswoman Carolyn B Maloney from New York, the resolution is co-sponsored by lawmakers Mike Honda, Ami Bera, Tulsi Gabbard and Grace Meng. "Despite the significance of this holiday to many Americans, the United States Postal Service has not yet recognised Diwali with a commemorative stamp, as it has with other major religious and cultural holidays such as Christmas, Kwanzaa, Hanukkah, and Eid," said Maloney. "Our resolution would express the sense of the House that the Citizens Stamp Advisory Committee should issue a stamp honouring Diwali, an important spiritual and cultural festival for many Americans," she said. "It celebrates ideas that Americans believe in -- good over evil, light over dark, knowledge over ignorance. The millions of Americans who celebrate Diwali deserve to have their holiday afforded the same recognition and respect as the USPS has already shown for Christmas, Kwanzaa, Hanukkah, and Eid," Honda said. 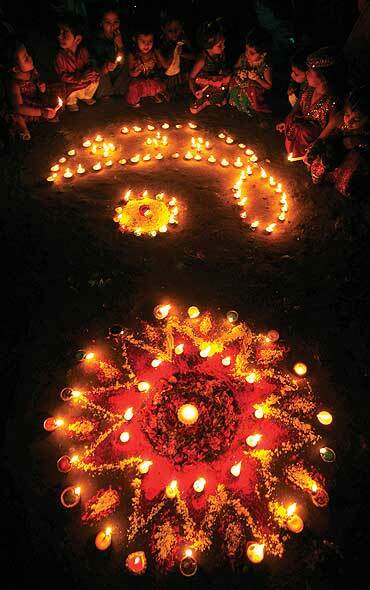 A postage stamp recognising Diwali as an important holiday is long overdue, Indian American Bera said. "Diwali is a celebration of goodness over evil observed by millions of Americans each year and it should get the same acknowledgement as many other major religious holidays do with a commemorative stamp," he asserted. Diwali is a time of spiritual renewal for many Americans, Hindu American lawmaker Gabbard said, adding that this stamp would be deeply meaningful to Indian Americans all across the country, and Hindus around the world. "The Citizens Stamp Advisory Committee should recognise Diwali, its universal message of selflessness and righteousness, and the diversity that exists within our country," she said. "The Postal Service has issued stamps for several major religious holidays, and now it's time that the agency does the same for the Festival of Lights as well," Meng said. Aside from the cultural significance of the Diwali stamp, there are economic benefits associated with its issuance. There are over three million Indian Americans in the US. The sale of the Diwali stamp could provide the USPS with a much-needed revenue surge, said the media release issued by the lawmakers. This is not the first time that a resolution in this regard has been introduced in either the House of Representatives or the Senate. For several years, Maloney has headed efforts in Congress to push the Citizens Stamp Advisory Committee to consider issuing a commemorative Diwali stamp. Vote for your favourite January cover girl!